This is the written version of a talk given by Professor Harris at Columbia University on 16 September 2010. See also Oliver Harris Interviewed on Queer. In the mid-1960s, the British critic David Lodge claimed that, since Burroughs lacked “precise imaginative control” over his materials, Naked Lunch “seems to offer” this line as “an appropriate epitaph on his work.” It’s a glib put-down, but for now let’s accept that this line gives us the key aesthetic question begged by Burroughs’ work — whether it’s a masterpiece made or fucked by confusion. To be sure, confusion is the most common state in which the work has left its readers — especially in comparison to Burroughs’ “first Naked Lunch.” That’s to say the trilogy to which, in late 1953, Burroughs originally applied the title “Naked Lunch” — texts published separately as: Junky, Queer, and The Yage Letters. These three early autobiographical works have not usually been read collectively — but we need to take them together if we’re to begin to understand how Burroughs went from these simple, seemingly realist texts written in the early 1950s to Naked Lunch by decade’s end. But are they so simple? In comparison to the chaotic disarray of Naked Lunch, the texts certainly seem relatively straightforward, but their material back-stories turn out to be unexpectedly complex and to contradict the apparent simplicity of what’s visible on the page. Or rather, the back-stories make visible the contradictions within the text — contradictions we otherwise overlook or misinterpret. Equally, whereas from the very beginning a genetic mythology attached itself to Naked Lunch, very little was written about the material histories of these three texts, and what little there was turns out to be wrong — and this has significant consequences for interpretation. 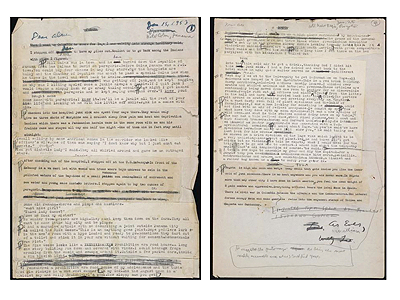 This is so most spectacularly in regard to The Yage Letters, whose 1953 epistolary section did not reproduce Burroughs’ authentic letters at all — as these wonderful cut-and-paste pages from a manuscript held at Stanford demonstrate. This is why it’s seemed important to me to make the material histories visible and put them to use in re-editing the texts — using my editions not only to offer a reliable text, but to bring out into the open the previously concealed processes of production. Each of my editions has therefore highlighted the genetic and editing back-stories — including that involved in my own work — with the paradoxical aim of confusing their apparent simplicity. So, what are the confusions, and why do they matter? 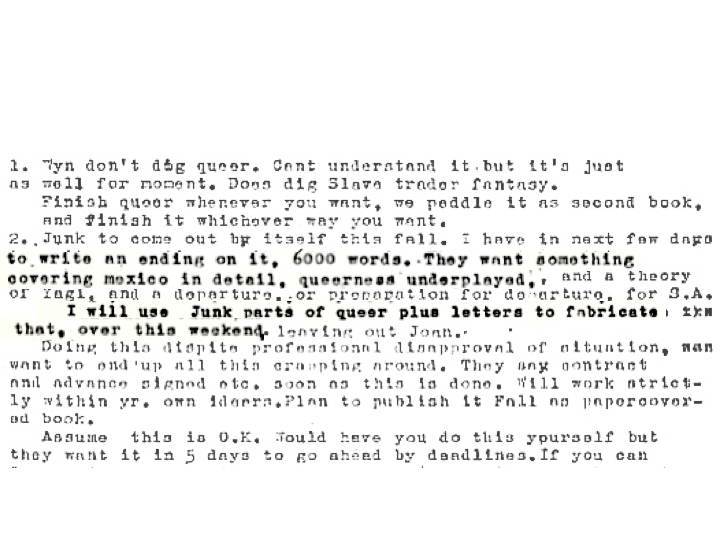 Burroughs wrote his three manuscripts of “Junk,” “Queer,” and “Yage” during a period of under four years, back to back between early 1950 and late 1953. But they were published out of sequence and spread over four decades: Junkie appearing in 1953, Queer in 1985, and The Yage Letters in 1963. They really couldn’t have been written any closer together or published much further apart. More than that, this scrambling of chronology and delays in publication had a direct impact on the reception of the three texts — on how they have been interpreted. This is one reason why they’ve hardly ever been read as a trilogy, with the result that Burroughs’ literary history, the chronology of his development from one text to another, has been disguised and confused. But even more fundamentally, this disordering of the trilogy turns out to beg questions about production, since the publication histories of the three titles decisively determined the form and content of each text — and not just separately but collectively. As manuscripts, “Junk,” “Queer” and “Yage” display a distinct formal variety: “Junk” written in the first person, “Queer” in the third, and “Yage” appearing as letters. And yet, despite these basic differences in form, far from remaining separate, the three manuscripts became incestuously mixed up in the published texts due to the history of their editing. And this, especially in the case of Queer, is where the confusion really begins — although to get there we have to start from “Junk” (this is the title on the original manuscript held at Columbia). Having begun it a few months after moving to Mexico City in fall 1949, Burroughs had written most of his first novel by December 1950. Burroughs was still tinkering with “Junk” when, in March 1952, he began “Queer.” That same month, Allen Ginsberg, acting as Burroughs’ agent, secured a contract to publish “Junk” with Ace Books, the pulp paperback house recently established by A. A Wyn. Having stalled while they looked at “Queer,” in early June Ace rejected it, and asked Burroughs to write an autobiographical preface to “Junk” and to make the narrative longer. 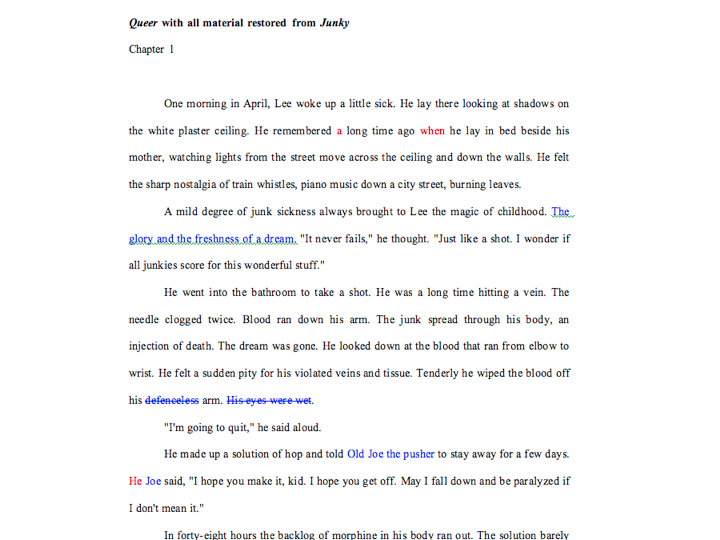 As a result of this manuscript cannibalism, an eighth of the Junkie published by Ace Books in spring 1953 had come from “Queer,” while “Queer” had lost almost a fifth of its material in the process. Although some have noticed the difference in the final chapters of Junkie, the most straightforward novel in the Burroughs oeuvre turns out to be a hybrid, or composite text — which is ironic, given its packaging as an Ace Doublebook, bound tête-bêche (that’s to say, head-to-toe) with the memoirs of a narcotic agent. That the prime agency driving the cutting up and mixing of manuscripts was not Burroughs but his publisher is a material contingency that grounds what would, in time, become a thoroughgoing critique of authorship. What most interests me, as an editor and a scholar, is to explore the emergence of that critique during the writing of Queer. When Queer was finally published in 1985, readers would have immediately experienced a series of confusions about the text, if it hadn’t been for Burroughs’ long introduction — which, significantly, had been written at the request of Burroughs’ publishers, Viking, just as, thirty years earlier, Ace Books had asked for a preface to Junkie. Famously, the introduction dramatically tied the writing of Queer to Burroughs’ shooting of his wife, Joan, in September 1951. That disaster, added to what Burroughs says about the difference between writing on and off drugs, effectively pre-empted any questions readers might have about Queer — specifically, questions regarding the identity of its central character and the formal appearance of the narrative. The shift in the epilogue from third- to first-person can only be explained by knowing the manuscript history. 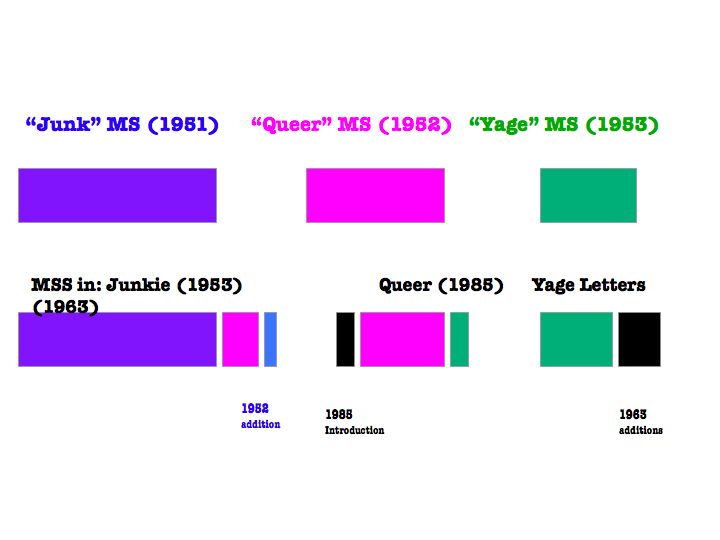 This shows that Queer‘s epilogue didn’t belong to “Queer” at all, but was written over a year later to conclude Burroughs’ “Yage” manuscript and was only added for the 1985 edition. Obviously, clearing that up is essential from the point of view of textual interpretation. More revealing still is the question why this material was added. That in turn relates to the 1963 publication of “Yage” in The Yage Letters. For City Lights only published those parts of “Yage” that had already been printed in various little magazines, since the full manuscript — including what became the “Epilogue” to Queer — was not available. And so when Queer was edited for publication in 1985, this unused section of “Yage” was, like Burroughs’ long introduction, added to help make up for all the material that had been cut from Queer to add to Junkie in 1953. Or, to put this chain reaction another way: it was because Ace, City Lights, and Viking each required a longer text that Junkie gained parts of Queer, Queer gained parts of “Yage,” and “Yage” was mixed in with later texts to make up The Yage Letters. And that is how the manuscripts of “Junk,” “Queer,” and “Yage” all turned into composite texts, curiously hybrid publications. Is this merely happenstance? Is there any more to it than an accumulation of the usual contingencies of publishing? Or is there something else going on to explain why none of the manuscripts of Burroughs’ first three novels were published in toto, and each came to have such confused and compromised textual histories? And if there is more to it, what might be the consequences for editing them? First, to undo the history of cuts made in 1953 and additions made in 1985. Second, to complete the manuscript fragment in other ways. The first option would have meant adding to Queer the nearly six thousand words cut for Junky and cutting the two-and-a-half thousand words that were added from “Yage.” This option would have had significant implications for the other two editions, of course; but equally, to undo the cuts made in 1953 and the additions made in 1985 would be to deny the agency of history, the passage of time, and the inevitable mutability of texts. restored the original opening of Queer, material that had been cut and pasted into Junkie. The effect of restoring it, however, was paradoxical, since it made Queer much less queer. That’s because these first pages — which we’ve already seen just a minute ago — starting from the line “One morning in April Lee woke up a little sick” — set up the rest of the narrative as the fall-out from Lee’s state of drug withdrawal. Now, this had clearly been Burroughs’ original intention. However, from an interpretive point of view, to clarify the text in this way would have honoured the author’s intention but have betrayed what the work became: Queer is, as its title promises, a confusing and unsettling text, and it was that identity which I felt bound to respect. The second structural option turned out to be just as problematic. In 1985, James Grauerholz had already considered a range of ways to complete Burroughs’ rough and unfinished manuscript. These included constructing several new chapters and transposing the whole narrative into the first person. However, in the end he rejected all but quite modest interpolations of material, especially needed in the increasingly fragmentary final sections. 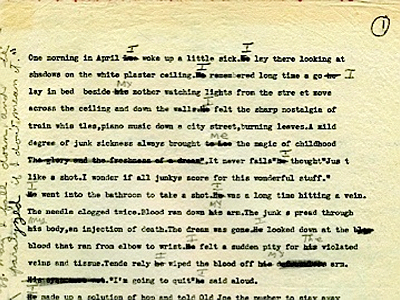 I myself made some small insertions of newly discovered manuscript material, but concluded that the temptation to complete Queer, and the intractable difficulties of doing so, both pointed to the fact that Burroughs had not left it incomplete in 1952; rather, “Queer” was, in a conventional sense, incompletable. Why? Because what’s in play here is more than recognising the agency of history. 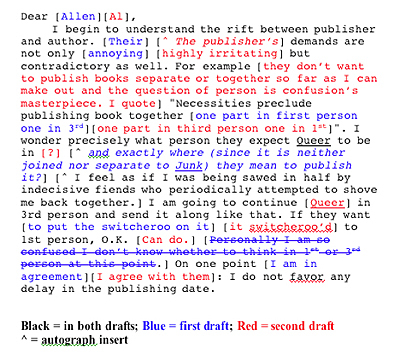 That invites a social text-editing approach, respecting the authority of all textual collaborators — publishers, agents, and editors, from Ginsberg to Grauerholz — rather than seeing these as corruptions of the author’s presumed intentions. But what’s also at stake is recognising the very particular agency of Burroughs as an author and the model of textual integrity that went with it. 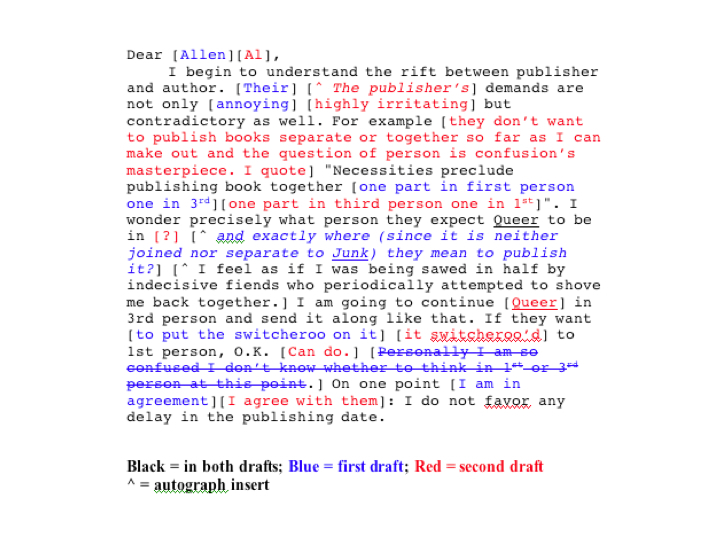 And that’s why re-editing his work, especially re-editing Queer, is more than a matter of making a reliable text. On the contrary, establishing the material history of Burroughs’ writing is important not so much for producing an accurate base for textual interpretation, but as itself a basis to interpretation. This materiality would become visible on the page in the chaotic montage form of Naked Lunch and more radically still in the texts produced by his cut-up methods. But it emerges in the course of writing his first trilogy, and in what follows I’m going to explore in detail the materiality of Burroughs’ model of textual integrity by focusing on what I see as the turning point in his development as a writer. When Burroughs began writing “Queer” in early March 1952 he was very clear about it: “Novel could be part II of Junk,” he wrote Ginsberg on the 20th; “Same straight-forward narrative method as I used in Junk.” The plan was clear enough, but that’s not how it worked out. Queer may have started off “straight,” but it achieved its identity by going awry. Wait a minute! 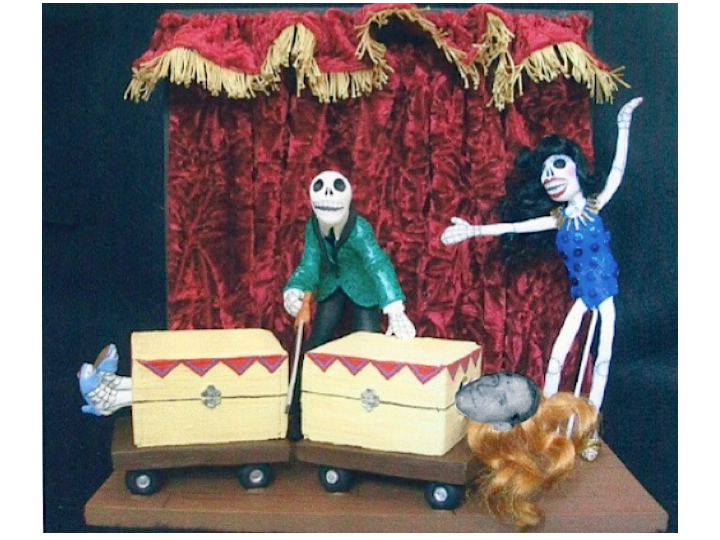 — “as the torso murderer said when he discovered his victim was a quadruple amputee”?? Where did that come from? In fact, that is the point: this sick joke comes out of absolutely nowhere — not only in this particular letter, but in the context of all the letters Burroughs had written up until this time. It has a sick humour that is trademark Burroughs, but there’d been nothing like it in his writing before. The gag is therefore doubly shocking — both on its own terms and as a sudden change in Burroughs’ style. It registers for the first time the appearance of his routine form, the comic-grotesque fantasies that spring up in Queer and will blossom like fleurs du mal in Naked Lunch. But what about the torso gag itself? 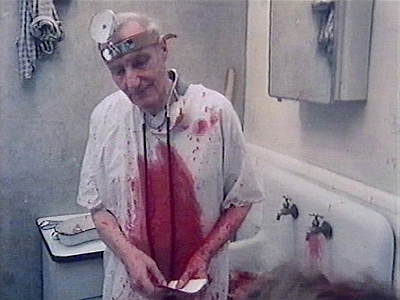 What exactly is Burroughs saying, and why would he identify himself with a sadistic serial killer? Historically speaking, he might be evoking the notorious Cleveland Torso Murderer of the late 1930s, or maybe the equally infamous Black Dahlia case from Los Angeles in 1947. More likely, I think, the tone of moral indifference here — “in this life we have to take things as we find them” — parallels the phrase son cosas de la vida, which will appear in Naked Lunch. There, it is attributed to Sobera de la Flor, who, in March 1952, just as Burroughs was starting to write “Queer,” went on a killing spree that took in the same Mexico City neighbourhood where Burroughs lived. I stress this connection because bloody violence that prompts a shockingly passive moral shrug of the shoulders is a key gesture in Naked Lunch — mainly associated with Dr. Benway — and, quite extraordinarily, it has its origins here, in Burroughs’ response to Ace Books’ plan for combining “Queer” with “Junk.” His gag seems wildly over the top, and confusing too, since it’s hard to see how a merger of two manuscripts could be figured as the brutal dismembering of a body. On a first approach, this is a letter about practical matters involving the editing of manuscripts for publication, but mainly it is an acutely self-conscious reflection on authorship. Burroughs may have worked on “Junk” for over two years, but only now that he has a contract in the works from Ace Books, does he talk about himself as a soon-to-be-published author. He will end the letter asking Ginsberg to save his letters because “maybe we can get out a book of them later on when I have a rep.” Right now, however, Burroughs is aware that he has no rep at all, and this is what underlies the “rift” between himself and his publishers. In accusing Ace of making contradictory and confusing demands, Burroughs recognises the power relations between himself as the writer and Ace as the publisher. They are the ones with the power to make decisions — even the power to torment him by being indecisive. Once we stress the word — decision, indecision — we begin to understand what’s going on here. 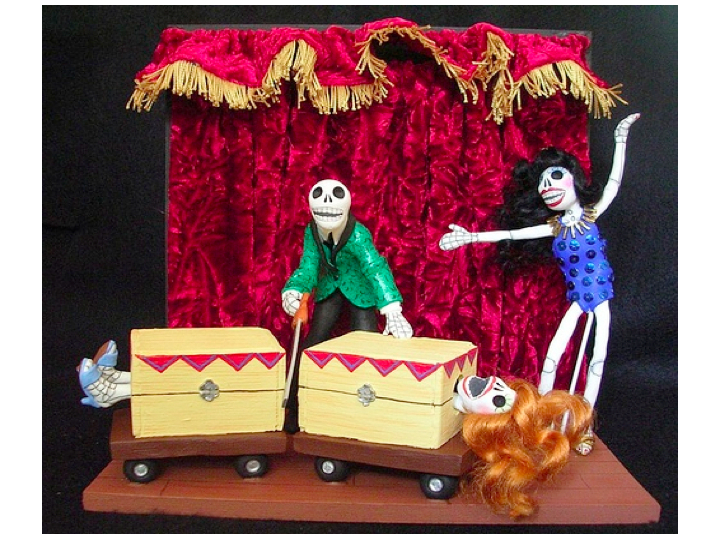 Etymologically, decision comes from the Latin decidere, combining the prefix de with the verb caedere, meaning to “cut.” To decide is to cut off, and the pun motivates the imagery of both the dismembered torso and the body sawn in half. In other words, the images in these mini-routines literalise Burroughs’ sense of the publisher’s power over him. But they do so in a very particular way — by equating his manuscripts with his own body — and this materiality is key to understanding the violence and pain in his first routines, and the polarisation of power relations they embody. This polarisation is evident in the contradiction between the images in the letter of April 14th and this of April 22nd, for Burroughs seems to identify with both the cutter — the psycho serial killer who wants to hack off limbs — and with the one being cut, the body sawed in half. To the extent that he is talking about the relationship between his two manuscripts, we have to ask: what does Burroughs himself actually want? Without wanting to be overly reductive, Kerouac believed in his work with a single-minded passion, and in refusing to accept cuts, he rejects the publishers’ power to force decisions onto him and to impose narrative intelligibility — their commercially-driven definition of aesthetic coherence. In the case of Burroughs, far from writing as if beyond or outside the context of publishing, he has no illusions whatsoever about his position, about all the compromises and economic determinations involved in getting a book to market. 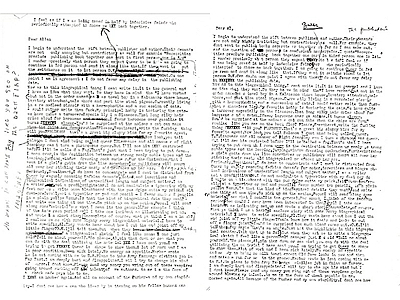 At the same time, while his publishers did indeed prevaricate about his two manuscripts, the confusion and the indecision that Burroughs attributes to them are really his own. He’s the one who doesn’t seem to know what he wants. Clearly enough, the plan to combine the first person “Junk” with the third-person “Queer” is not just a formal problem for Burroughs’ publishers. On the contrary, this plan to combine manuscripts is also a plan for a visibly divided self: not just two books in one, but in effect two persons with the same name in one book, split by the difference in narrative point of view. The result would therefore embody Burroughs’ own lack of single-mindedness, his own internal rift, which he has displaced onto Ace Books and literalised in the image of being sawed in half. In other words, Burroughs casts Ace Books as the unreasonable obstacle to his desire, as if otherwise he would get what it is he wants — when the truth is, what he wants is in a state of self-contradiction. Interestingly, we can see this displacement of self-divided desire in Burroughs’ allusion to Macbeth. 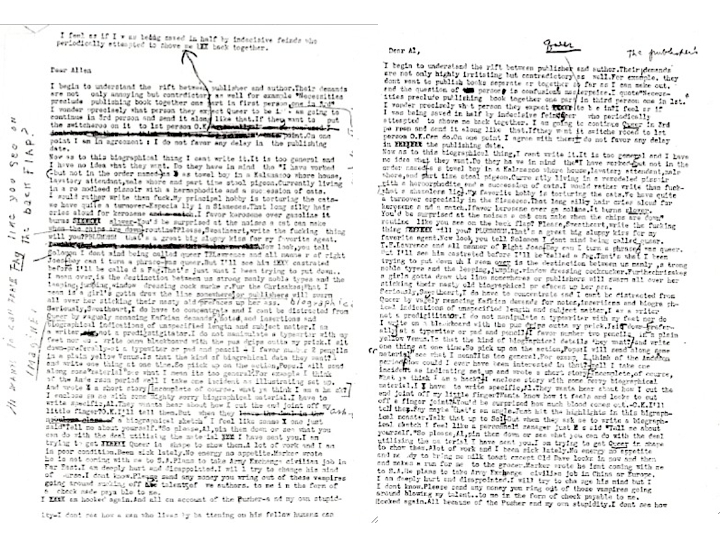 What makes the allusion especially revealing is that it appears in his turning point letter of April 22 as a revision that he then incorporated into a retyped second draft — the original is on the left, the revised draft on the right. Personally I am so confused I don’t know whether to think in 1st or 3rd person at this point. 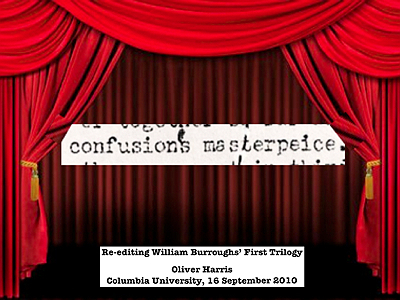 Personally Burroughs is confused about what person to think in… No wonder the line from Macbeth came to him and he substituted the phrase “the question of person is confusion’s masterpiece” — although we can immediately see how this substitution displaces the confusion away from his own person and onto his publishers. I stayed away from the Ship Ahoy for several days to give Allerton time to forget the bad impression he had undoubtedly made. But this is not just a matter of confusing “I” with “he” when Burroughs writes — far from it. This is not an innocent slip; it’s loaded, and constitutes what Freud called a parapraxis. As the barely concealed psychoanalytical dimensions to Burroughs’ letter suggest, it’s about the confusion of identity in a much more fundamental sense. To grasp this point, we have to return to how Burroughs quotes Macbeth in Naked Lunch, for now we can see how what’s going on in that passage grows directly out of Burroughs’ April 1952 writing. The line that misquotes Shakespeare appears in a comic-grotesque parody of Oedipal confusion — featuring “great big daddy” and “the old lady,” and a cut-up of Genesis with Freud (to make: “male and female castrated he them”) and which is dense with not only physical “cuts” but also a torso job on the mother’s body. As Burroughs’ rewriting of the Bard via Freud has it, God’s masterpiece — man — is thoroughly fucked up by sexual desire. But if desire is for Burroughs the basis to confusion, he sees it from a very specific point, one that is encrypted in the image of being sawed in half and its history as a stage act for magicians. 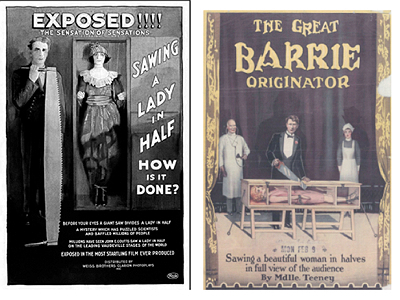 I especially like the poster on the right, with its doctor and nurse in the background, playing up the danger of the act while turning it into a bogus medical procedure, a surgical operation — shades perhaps of Dr. Benway, played here by a blood-splattered Mr Burroughs. So: as a torso murderer, Burroughs sadistically identified himself with a male slasher, but in the image of being sawed in half he masochistically identifies with the female victim: in other words, Burroughs puts himself in the box as a woman. Like the image of being sawed in half, Burroughs’ own contradictions here — asserting his maleness on the one hand and taking on the very queeny, campy tones he despises on the other — materialise the case made by Jamie Russell in his book Queer Burroughs — which is that the historically rigid, binary “opposition of masculine/feminine, queer/fag, man/woman” produced “the gay subject as a schizoid cut-up.” So it’s not just that Burroughs puts himself in the box: sado-masochistically, he plays both parts at once. Of course, this wasn’t actually funny at all, and the sick humour of Burroughs’ routines in Queer is both hilarious and excruciating. And it’s the pain that brings us back to Burroughs’ texts. Now, Queer is centred around Lee’s homosexual desire for Allerton, a thinly fictionalised version of Burroughs’ relationship with Lewis Marker. Lee’s fantasy of physically merging with Allerton, of slupping him as Burroughs puts it, reads like a dark parody of love in Plato’s Symposium. In fact, Aristophanes’ account of love as “the name for the desire and pursuit of the whole” suggests that behind Burroughs’ stage magician and torso killer stands Zeus, who sawed in two the originally rounded whole human being, and so condemned each to the pursuit of their other halves. In other words, Burroughs’ confusion about what he wants for his manuscripts, whether their textual bodies should be joined or separate, parts or wholes, shares exactly the same embodied imagery as the literalisation of desire. And if the textual and the sexual seem to be materially, physically one, the imagery also implicates the aesthetic and the economic. 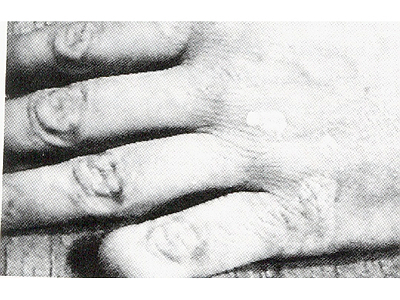 However, to hack is also to cut up, and by insisting that his story about the cutting off of one of his fingers is itself an incomplete textual body, Burroughs models a writing that refuses to give his publishers what they want, either aesthetically or economically. Now as to this biographical thing I can’t write it. It is too general and I have no idea what they want. Do they have in mind the “I have worked (but not in the order named) as towel boy in a Kalamazoo whore house, lavatory attendant, male whore and part-time stool pigeon. Currently living in a remodelled pissoir with…” etc. As a resumé of Burroughs’ employment history and qualifications as a writer, this boasts that no job is too low for him; not merely a “hack,” he’s a whore. But if he feels screwed by his publishers, Burroughs again pays them back by screwing up the biographical portrait they demand — not only by the moral outrageousness of its content, but also by its form. Offering not a metaphorical whole but metonymic parts, he notes that these parts are themselves dis-orderly, mixed up and out of sequence — in other words, confused. But the confusion here is strategic, a deliberate deconstruction of the writer’s identity and the textual unity required by his publishers. This moment marks the difference between the writing of “Junk” and the writing of “Queer”: He may have described Queer as a “queer novel using the same straight narrative method as I used in ‘Junk,'” but “Junk” achieved coherence and an appearance of closure. The writing of “Queer,” however, marks the breakdown of that method, its unravelling, under the destabilizing pressure of desire and the return — with a vengeance — of the repressed, in the form of jokes, dreams, slips of the tongue, and so on. 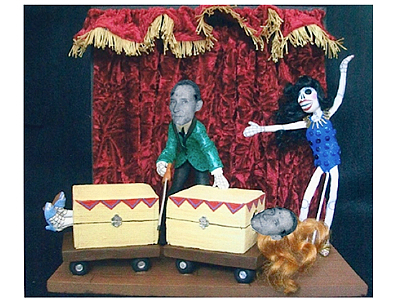 In conclusion, the shift from “Junk” to “Queer” marked by the appearance in April 1952 of the routine was a turning point in Burroughs’ writing — but what’s equally clear is that it arises as a moment of crisis and self-contradiction — as much the breakdown of a straight method as the choice of a queer one. This was not the end of the story, but its beginning. 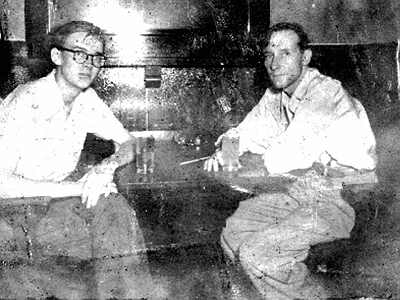 “I have not decided on ending for second novel,” Burroughs had written in his torso letter of 14 April 1952, adding, “Perhaps the ending just hasn’t occurred yet.” Unable to decide, waiting on an outside agency, on some contingent circumstance to provide a cut-off point, Burroughs qualifies his desire for control and opens himself to chance — and in this way anticipates the long genesis of the “second” Naked Lunch published in 1959. There is, then, no either/or, requiring us to choose between the calculating intentional author or a writer lacking control over his materials. Far from being merely indecisive or confused, Burroughs in 1952 began to recognise that as a writer he was not a unified agent whose work could attain completeness, and the corpus of his writing is emphatically a body in pieces. 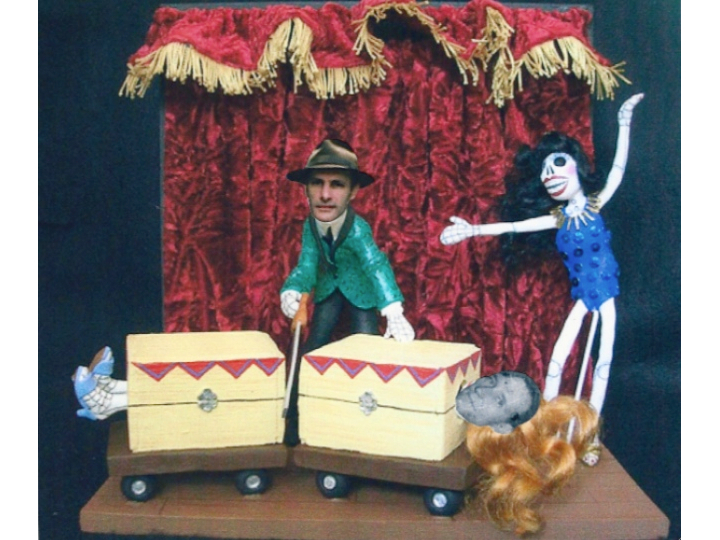 But — and this is what’s most fascinating — his original routines about the dismembered body bring together his writing, his desire, and the material decisions of his publishing house editors. In effect, Ace Books externalised for Burroughs an unconscious dimension, an inner conflict, just as Burroughs himself internalised the commercial logic which dictates that writing for publication is not a unified act but a collaborative process involving contingencies and multiple, divided agencies. Or to put this another way, if we pose the seemingly nonsensical question, “What do Burroughs’ manuscripts want?” we have here the answer in the very form of their material history. The proof that non-authorial agencies play the part of the work’s unconscious, the proof that, far from being unwanted foreign corruptions that messed up the manuscripts, on the contrary they in fact fulfilled the desire that Burroughs otherwise could not achieve — is simply this: that what Ginsberg referred to as “the Junk parts of Queer” do belong with Junky, and do not belong with Queer; and that the Epilogue taken from “Yage” does fit Queer, and does not fit The Yage Letters. To be clear: this isn’t simply to accept that in 1952 and 1985 the editors happened to make or bring about good decisions. Rather, in each case the cuts and additions that they led Burroughs to make internalised the contradiction that was necessary to complete the work. Thus, in the case of Queer, because Burroughs gutted most of the opening two chapters in which Lee withdraws from junk, he prevented this “straight” material from naturalising all that follows — from domesticating the narrative breakdown as reassuringly explicable. 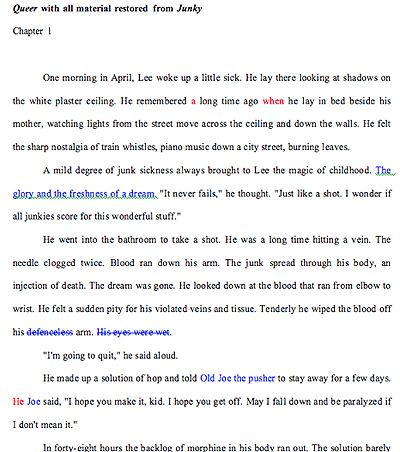 Likewise, at the other end of the text and thirty years later, the switch from third-person narrative to first-person in the Epilogue is precisely the formal discontinuity demanded by the history of the manuscript, while the finale — where the dream dimension takes over and Lee turns into the monstrous Skip Tracer and the narrative switches back into the third-person — turns out to be the narrative’s true destiny and the realisation of its desire. And so to simply undo the cuts forced onto Burroughs’ early work would have been to restore an un-cut agency and a unity of intention that Burroughs did not have. Equally, it would have disguised the very material processes that, in the work that was to follow, Burroughs would himself put into the foreground, make visible on the page, as a critique of authorship and textual integrity. Written by Oliver Harris and published by RealityStudio on 10 October 2010. See also Oliver Harris Interviewed on Queer. i can not give enough praise to this depth and quality of work. bravo! Again, we have more splendid pieces of outstanding, excellent scholarship from Professor Harris, all of it generously shared with us by Reality Studio. So fortunate and so wonderful for us to have a brilliant scholar doing all of this deep-diving into the deep-time of the material. The explication of relationships discovered between the early trilogy texts contain numerous, valuable insights. And so interesting that so many of the pivot points of the research are located in the letters. I expect we’ll learn a tremendous amount more when Dr. Harris gets immersed in the material base of The Nova Trilogy – and all those letters. Given the amount of excellent attention being given to the important earliest work of the dearly departed author, I’m beginning to regard Mr. Burroughs himself, as a CAT, a cool cat, if you like. Years ago I learned that Dogs Have Masters but Cats Have Staff; even Cool Cats have staff. Superb and fascinating as ever. The amount of thought and research that has gone into this article makes my head hurt. I shudder to think what Oliver’s must be like! Add Comment – Okay, I will. Graham, what makes your head hurt and causes the shuddering is called alcohol poisoning. 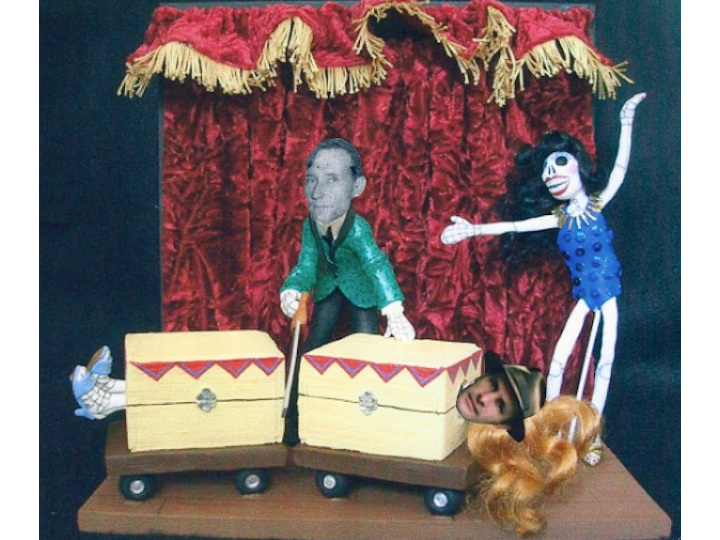 Dr. Harris’s head sparkles and gleams with lucid intelligence. Very good piece, thanks a lot for sharing your views & experience on these books! I love the idea of the publisher as the first entity who produced the idea of cut & paste / cut-up in Burroughs’ work – the insider / the outsider’s here !